Oil paint on wooden construction, 1974. Signed and dated on the reverse. Dimensions: 25.5 by 30.5 cm (10 x 12 in). 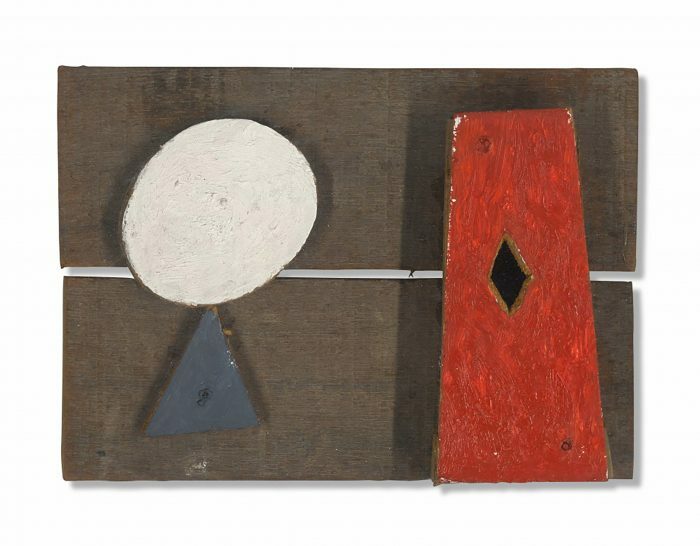 Exhibited: London: A. Postan Gallery, Dec. 1975, “Julian Trevelyan’s Constructions and panels 1974-75″. Provenance: Sotheby’s London, the sale of the contents of the Durham Wharf studio of Mary Fedden and Julian Trevelyan, 23.11.2016 lot 563.